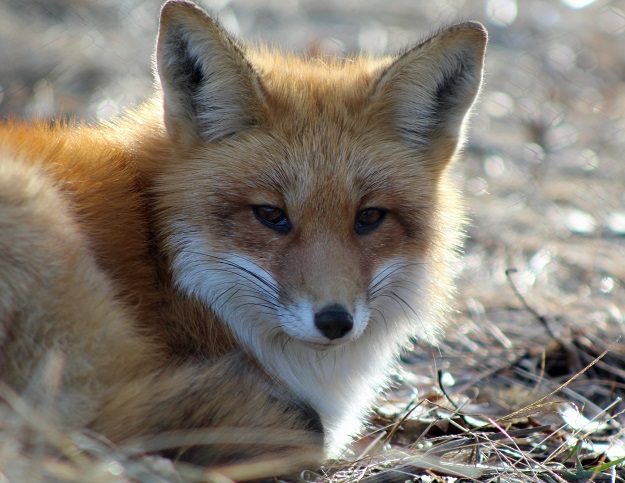 Posted on January 13, 2019 by Kelly M.
A big welcome to the newest member of the Drumlin Farm animal ambassador family, a female red fox! 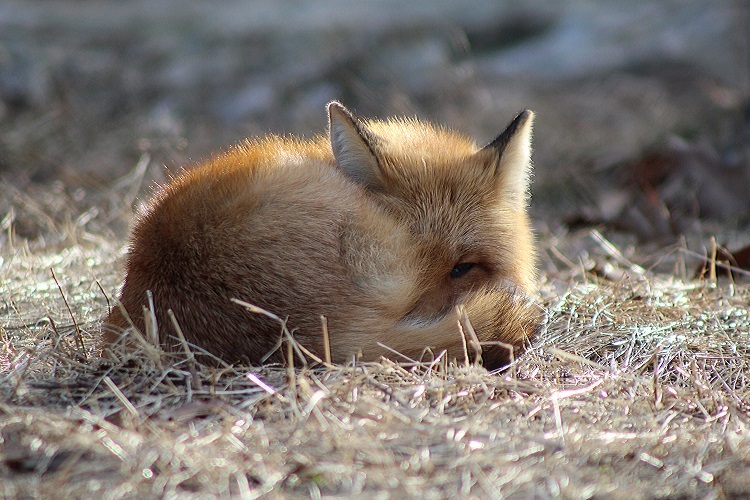 Like our resident male fox, she was found as an orphaned kit (young fox) in Illinois. Upon her discovery in February 2018 she weighed only 1.5 pounds. During her rehabilitation, she became habituated to her human caregivers and was deemed non-releasable, unable to survive on her own in the wild. She’s grown a lot since then and is adjusting well to the East Coast move, now weighing in at a healthy 10 pounds. 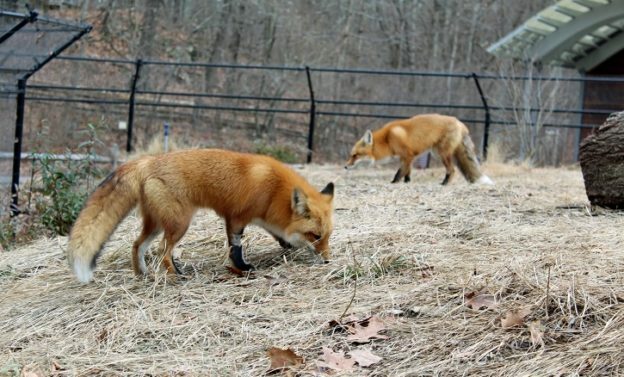 The new female fox joins the ranks of the many honorable animal ambassadors that call Drumlin Farm home and work to connect our visitors to the natural world in unique ways. 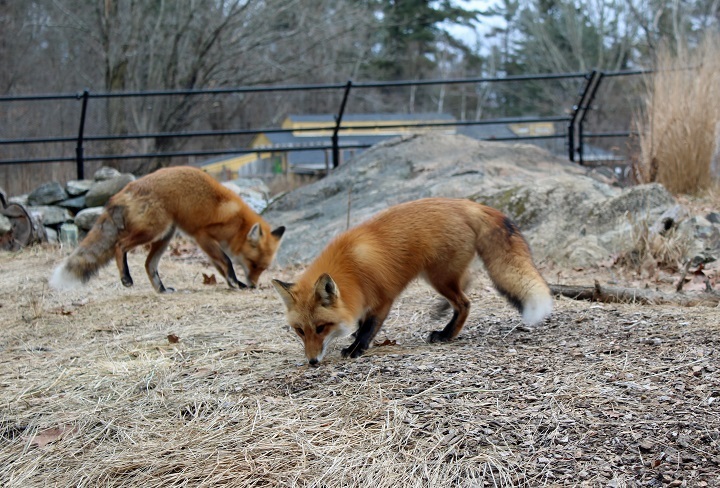 Many Drumlin Farm visitors have never even seen a fox in person before, and know surprisingly little about these sly canines. 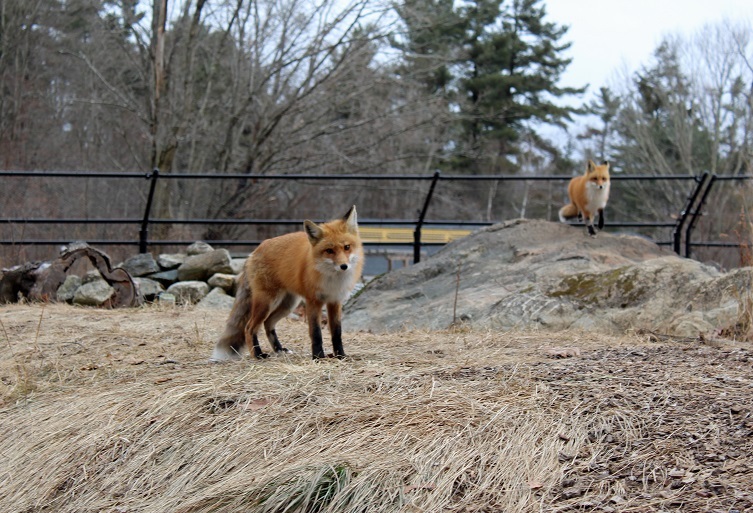 Next time you visit, we invite you stop by the New England Wildlife Exhibit to see them up close. You can distinguish the female from the male by the relatively smaller white tip on her tail. 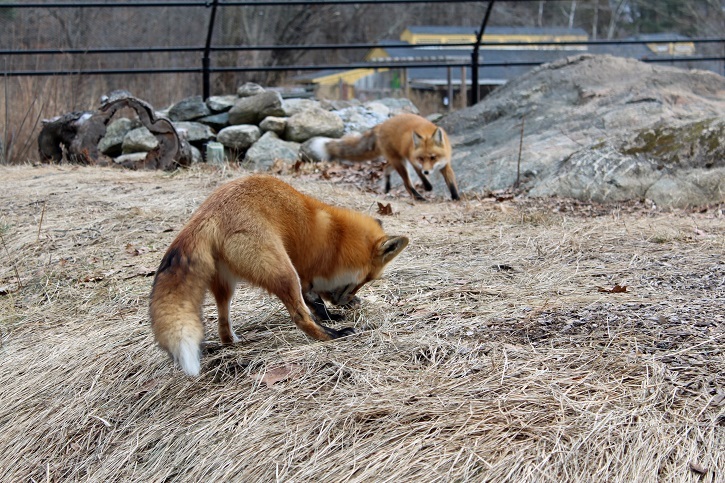 As foxes are mostly nocturnal, the pair are often most active during early in the morning and at night, but our two foxes can regularly be seen exploring the exhibit, observing the cows in the pasture, or napping throughout the day. Check out the Fox Cam in our exhibit space to see the night-vision camera collecting data on their after-hours behavior. You can also explore inside our newly opened Fox Den viewing area, with its plexiglass window for a clear look inside the enclosure. Either way, don’t miss your chance to say hello to the newest member of the Drumlin Farm family! This entry was posted in Animals, News and tagged animals, fox pictures, foxes, red fox, visiting animals, wildlife on January 13, 2019 by Kelly M..